In recent years Brazil has taken its ambitions of becoming a global power to the next level. The Portuguese-speaking giant has experienced major economic and social development over the past decade. As a result, it enjoys a strong military and growing influence both in the geographically defined Western Hemisphere and other regions of the economically defined Global South. 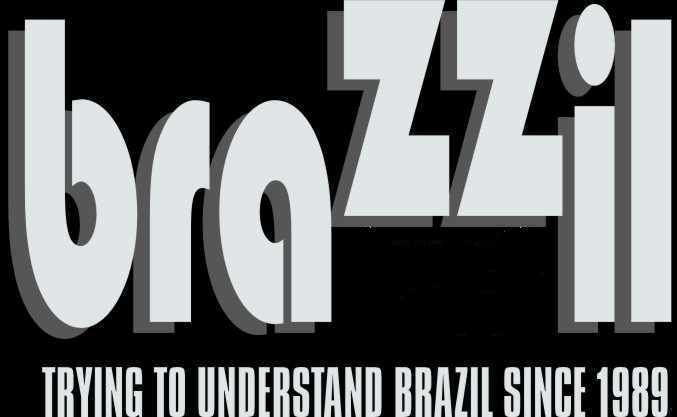 Moreover, Brasília has strongly lobbied for a permanent seat in the United Nations Security Council (UNSC), having already achieved backing from several nations and multinational blocs. It is no surprise that the country stands as the natural candidate to become the representative of Latin America and the Caribbean in the UNSC should structural reform ever occur. Furthermore, Brazil will ambitiously host two major sporting events in the coming years, these will be the 2014 FIFA World Cup and the 2016 Summer Olympics in Rio, which, if successfully organized, will enhance Brasília’s credentials as a rising global power. Nevertheless, it is necessary to highlight that not all is well in the Portuguese-speaking giant. Public security continues to be a matter of great concern, along with cases of corruption among high governmental levels. Perhaps even more worrying, the country’s economic growth rates appear to be stalling, which may signal the beginning of a potentially catastrophic burst of the “growth bubble” in the near future. The IBSA bloc predates BRICS as it was originally created back in 2003 and already has held several meetings. IBSA has even staged joint military exercises. But as with BRICS, IBSA is far from being a united bloc in spite of common foreign policy objectives among its three members (i.e. pushing for UNSC reform). The three-nation group will host its sixth summit this coming June in New Delhi. Moreover, the BRICS nations continue to attempt major joint projects; among the most potentially game changing moves being discussed is the creation of a BRICS development bank, a project that has since become bogged down over disagreements over which country would host the bank. In other words, given the diverging foreign policy interests among the BRICS nations, including military, political, and cultural tensions among them, we should have realistic expectations of what this entity could become. It most likely will not become some kind of transcontinental security alliance, a la NATO. Perhaps at best, we could see the appearance of several joint financial and commercial projects, making the group a greater force in the international financial system. The following sections will provide a more in-depth analysis of Brazil’s relations with fellow BRICS nations particularly from an economic stance. Brazil and Russia have enjoyed over 180 years of peaceful but modest diplomatic relations. The history of these ties is long and generally uneventful, however they were substantially strengthened following the fall of the Soviet Union and the subsequent birth of the Russian Federation. Today, Brazil is Latin America’s largest trading partner with Russia, and one of the leading suppliers of agricultural products and consumer goods. Regarding military ties, Brazilian President Dilma Rousseff, signed an agreement in February 2013 to purchase Russian anti-aircraft weaponry. This decision is significant as it will increase Brazil’s military strength in terms of defense capability and potentially spur greater militarization throughout Latin America –whether the region is or is not in an arms race is debatable. The deal’s origins date back to meetings held in 2012 between Rousseff and Russian President Vladimir Putin. However, it was in February 2013, during a meeting between Prime Minister Dmitry Medvedev and Rousseff in Brazil that the plan was further consolidated. Medvedev’s agenda was primarily in agreement with General de Nardi, but he also addressed issues such as energy, petroleum, hydropower, nuclear power, and defense with the Brazilian head of state, according to reports from the Press Secretariat of the Presidency. Trade between Brazil and India is growing at the impressive rate of 35 percent per year, despite a decreased economic rate of growth in both countries and the physical distance between them, as Brazil’s ambassador to India has pointed out. The implementation of an air service agreement between the two countries is expected to overcome this gap. Even before BRICS was established, Brazil was regarded as having the potential to be the new China; whether or not this will become a reality is yet to be seen. According to studies, both countries have been hit in varying degrees by the global economic downturn. Chinese investments in Brazil are concentrated mainly in the energy, mining, steel, and oil industries. Beijing’s investment portfolio infuses the Brazilian economy with capital and a huge growth potential, but often encourages questionable practices as well as unfortunate consequences. The country’s interest in raw materials benefits a few big Brazilian suppliers, but in turn exports back cheap manufactured goods which undercut Brazilian rivals both in domestic and regional markets. This deindustrialization trend happens not only to Brazil, but to all of China’s trading partners in Latin America. In addition to deepening Latin America’s dependence on the export of natural resources, many have good cause to grieve over the corrupt Chinese practices of buying up land from peasants and paying below-industry wages. Despite generally having a friendly and relatively close trade relationship with China, Brazil has publicly criticized many of Beijing’s policies, especially in regards to the so-called Currency War. Brazil has also criticized U.S. policy, advocating against escalating economic tension concerning trade and currency. Although many believe China is using economic diplomacy in Latin America to undermine or threaten the United States, as well as the relatively recent Latin American return to democracy, that hypothesis has yet to be proven correct. Brazil’s well-established, working democracy is not threatened by China’s ideology. Still, China’s presence may affect political and economic developments in other parts of Latin America in terms of how to hone productive cooperation among China, the United States, and Latin American nations. Nevertheless, the meeting of the two nations has been complicated by the Latin American countries that require this engagement. The region’s particular characteristics could either draw China and the United States into greater cooperation or worsen the relationship, depending on Latin America’s readiness and its capacity to mediate between Washington and Beijing. The dynamics between Brasília and Pretoria may be the least known of the intra-BRICS relationships, but there have been some interesting developments on issues such as binational governmental support of commerce-related initiatives. Later, in November 2011, the Brazilian Ministry of Development, Industry and Foreign Trade (MDIC), the Brazilian Ministry of External Relations (MRE), and the Brazilian Trade and Investment Promotion Agency (Apex-Brasil), organized a delegation of entrepreneurs that traveled to South Africa. In addition, SAIIA’s Dr. Mzukisi Qobo and University of Cape Town’s Dr. Mills Soko discussed how South Africa’s BRICS membership will affect the aforementioned loose IBSA alliance. With regards to the Brasília-Pretoria relationship, relations remain in good shape, in spite of the aforementioned “chicken war.” Even if the IBSA and BRICS do not create a united bloc, they have arguably helped bring both governments closer together. It is preposterous to assume that close diplomatic and commercial relations, along with some military arms sales, translate into a military alliance between Brasília and Beijing, or Brasília and New Delhi. Military issues are not at the center of the BRICS initiative – naval exercises between the IBSA nations notwithstanding. Non-idealistic analyses of BRICS’s future see the loose grouping, as a commercial-oriented bloc to increase inter-BRICS trade and perhaps achieve some kind of unified stance on foreign policy issues. The underlying goal would be to challenge Washington’s supremacy over the global economic order. Nevertheless, the fact that BRICS failed to agree on the creation of a development bank in South Africa gives validity to the idea that this alliance is still made up of governments, which have clear foreign policy goals and may not “give in” to the aspirations of other group members in order to promote the group’s unification. As for Brazil’s relations with each BRICS member, they have been generally positive in spite of occasional incidents such the “chicken war” with South Africa or the dispute with fellow BRICS nations over the headquarters of the group’s development bank. Nevertheless, as long as Brazil’s economy continues to grow and its domestic politics remain stable, it should easily find willing trade partners in Pretoria, New Delhi, Beijing and Moscow. It will be interesting to see if this a premonition that comes true, signaling that Brazil and fellow BRICS nations can agree on major projects, or if this will be just another in a list of empty promises. W. Alejandro Sánchez is a Research Fellow at the Council on Hemispheric Affairs, and Amandha Lopes is a Research Associate at the Council on Hemispheric Affairs. Were Diamond Miners Behind Brazilian Indianist Murder?